Ucko had briefly considered disposal patterns for his functional classes, but could make little headway. For the Neolithic Near East he had only one site with a large corpus of figures, Jarmo, and the Jarmo figurines were said to be distributed throughout the deposit, with a concentration in ashy trash deposits that was "explained by the favorable conditions there for the recovery of figurines, and by the great extent of the ashy area" (Ucko 1968:364 citing Broman 1958:3,47; see also [Broman] Morales 1983). But the Hajji Firuz figurines did show a patterned distribution and this pattern could be directly related to artifact disposal; they also exhibited consistent damage, which reflected use or disposal or both. I therefore expanded Ucko's approach by searching the ethnographic literature for information on disposal. Localized areas of abrasion or polish may occur on surface from ritual touching (for example, at head or feet) Figure may exhibit burning, ruinous fresh breaks due to "killing"
use given patterns of wear and disposal (Table 4). 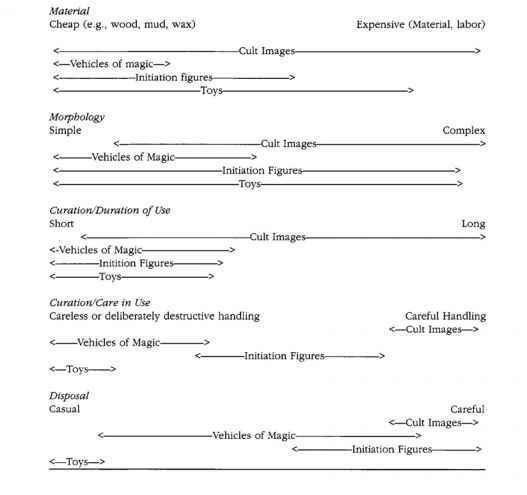 Returning to the Hajji Firuz figurines, I concluded that the majority were probably vehicles of magic and therefore documented ritual behavior, but the data were more suggestive than convincing (Voigt 1983:193-195). Far more rewarding was my next analysis ofNeolithic figurines. crossing. The sequence at this site extends from medieval/crusader times back to the Aceramic Neolithic (Ellis and Voigt 1982;Voigt 1985, 1988;Voigt and Ellis 1981). Today both site and surrounding villages lie under water, destroyed as the river rose behind the world'slargest earth dam. The Neolithic occupation was sampled along the eroding southern edge of the mound, exposing a narrow strip of the settlement. Four phases of occupation were defined, the earliest (phase D) resting on sterile soil and dated by radiocarbon to the tenth millennium bp (Voigt 1988). The largest sample comes from the third phase (B), which provides information on house form and settlement pattern for the Late Taurus Neolithic during the mid ninth millennium bp. 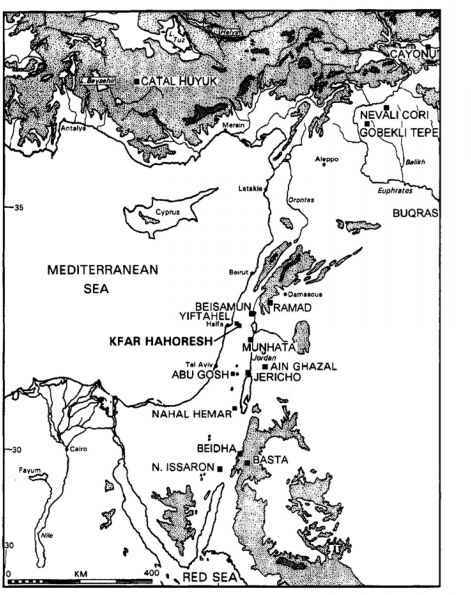 While the sites in southeastern Turkey have distinctive aspects, their chipped stone industries, architecture, and use of lime containers ("white ware") link them to PPNB sites in the Levant, so the sites discussed here are usually referred to as part of the "Taurus PPNB" (see M. Ozdogan 1995, 1997a for general discussions of the Neolithic in Turkey).